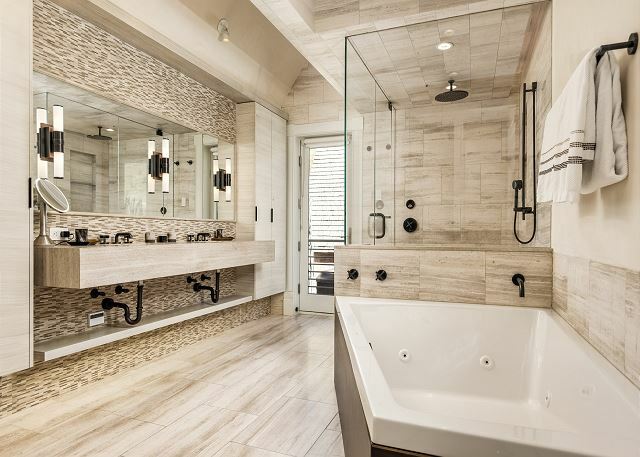 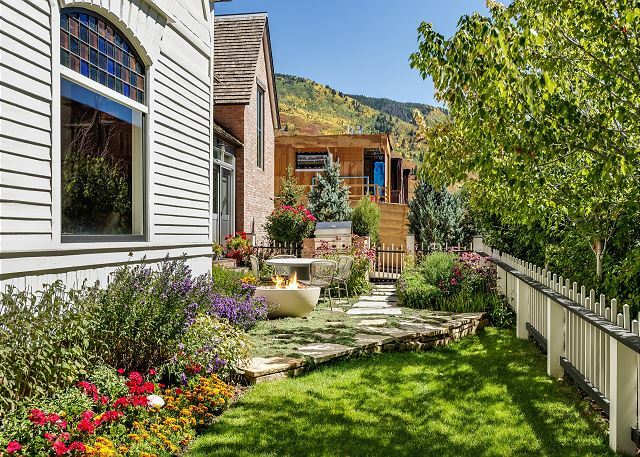 Originally built in 1884, this grand Aspen Victorian has been transformed into a stunning residence with sleek contemporary finishes, warm and sophisticated accents including natural stone and hardwood, recessed ceiling lighting and is complemented by a Savant Smart Home Control System. 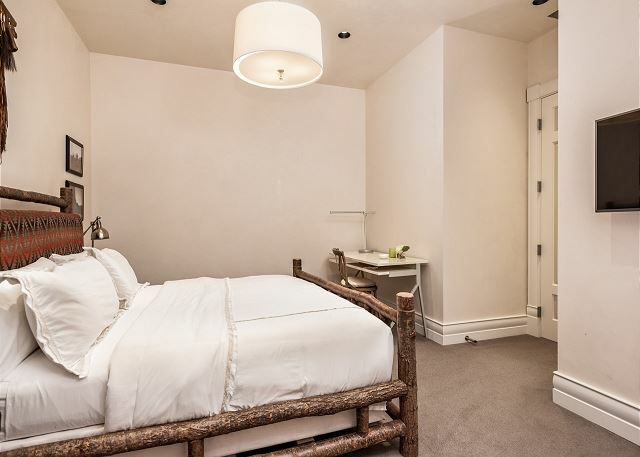 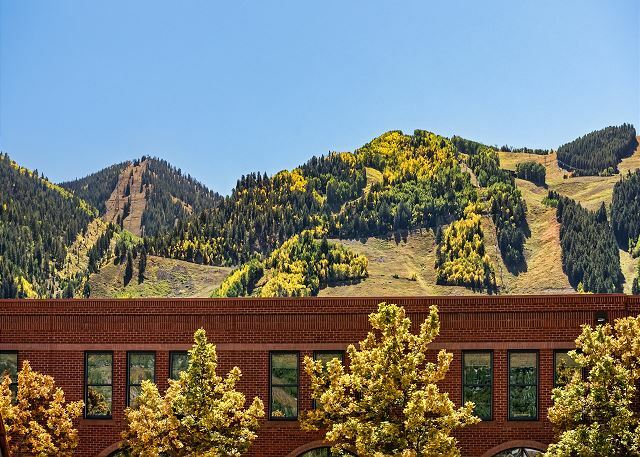 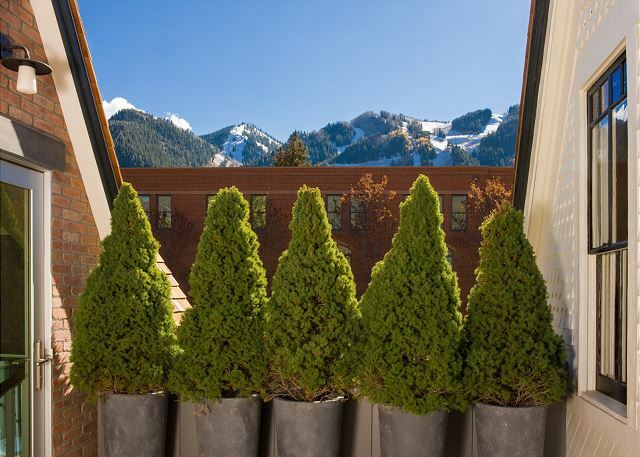 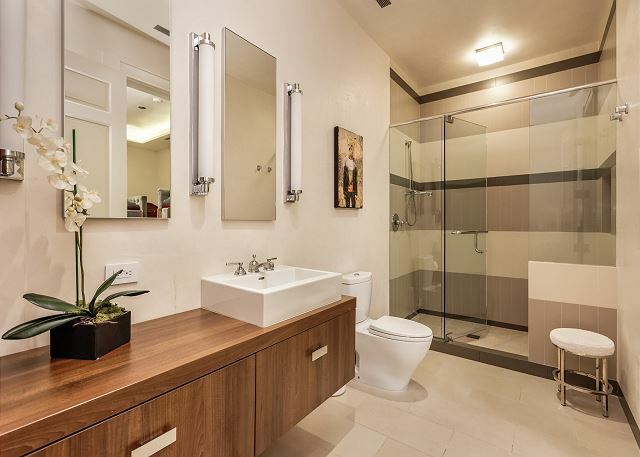 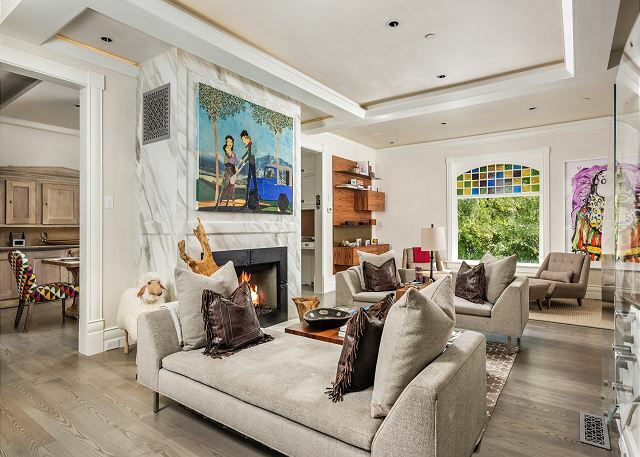 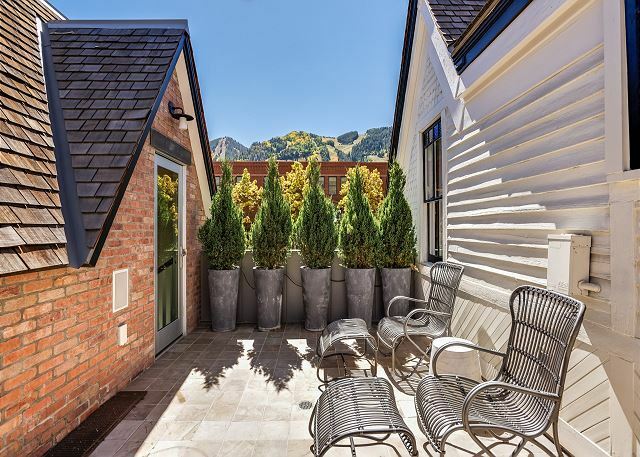 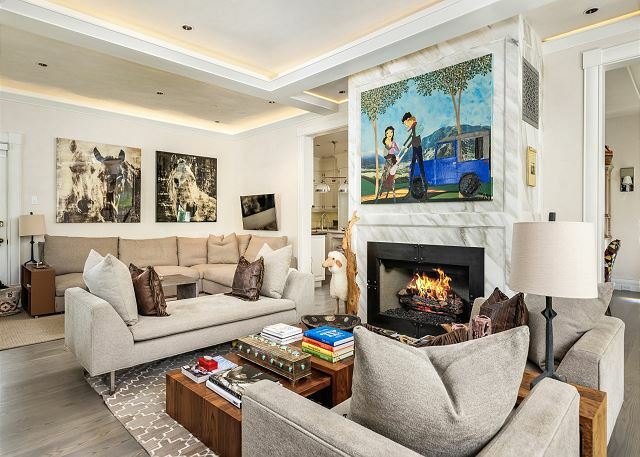 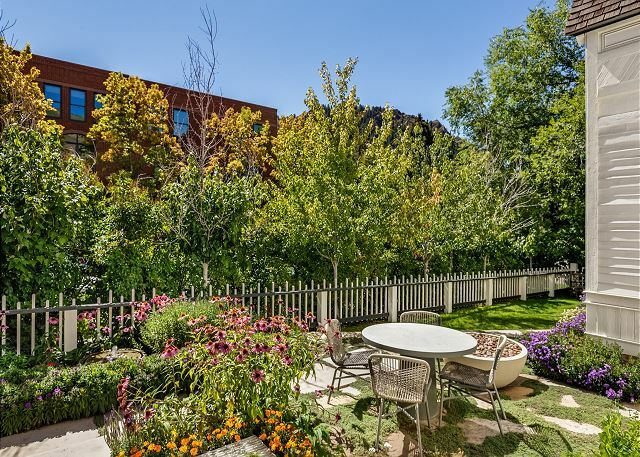 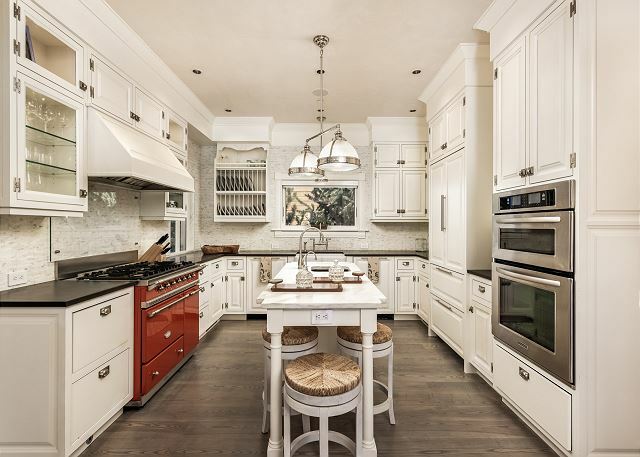 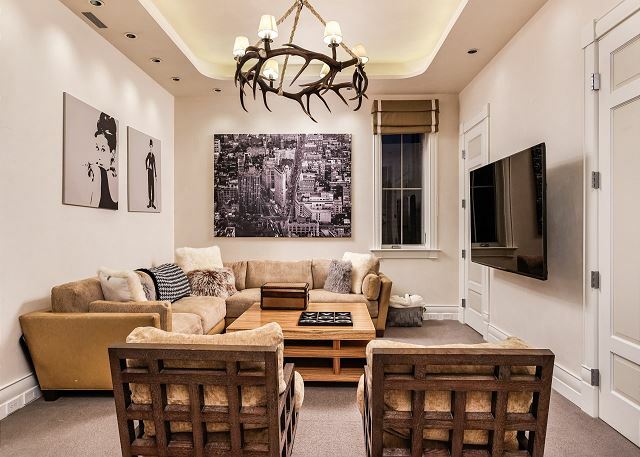 Situated in the heart of Aspen behind the historic Hotel Jerome, the home could not have a more ideal balance in location between the core and the residential neighborhoods of town. 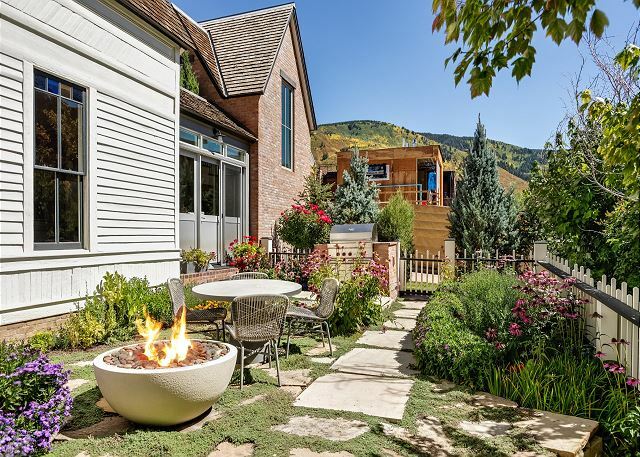 The white fence defines the nearly 6,000 square foot lot and nestles the side flagstone patio with water feature, fire pit and barbeque behind a row of manicured shrubs. 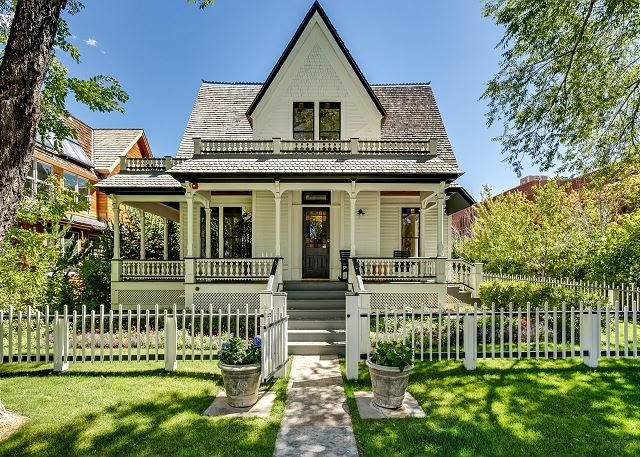 The covered porch welcomes you to the entry, and the foyer introduces you to the original portion of the home from days gone by. 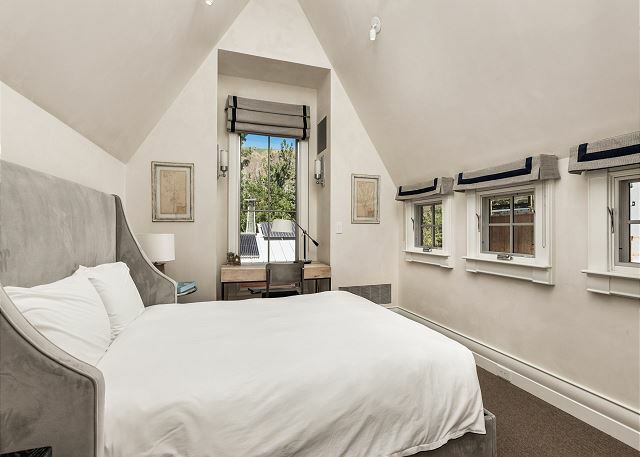 Now an open living space with spiral stair to the master suite level, this inviting room provides three sitting areas: one in front of the fire, one in front of the flat screen television and one by the original side window facing south to Aspen Mountain. 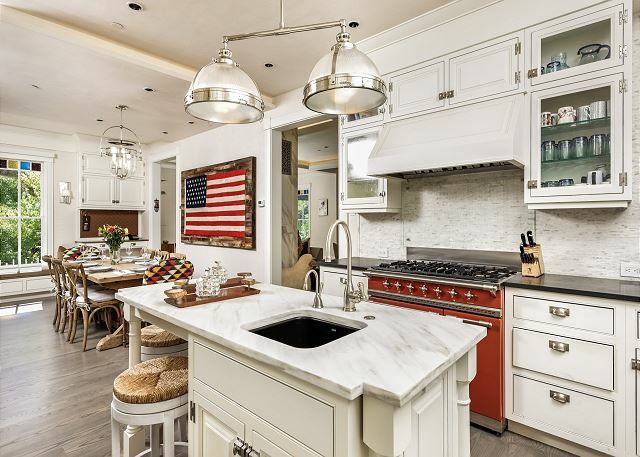 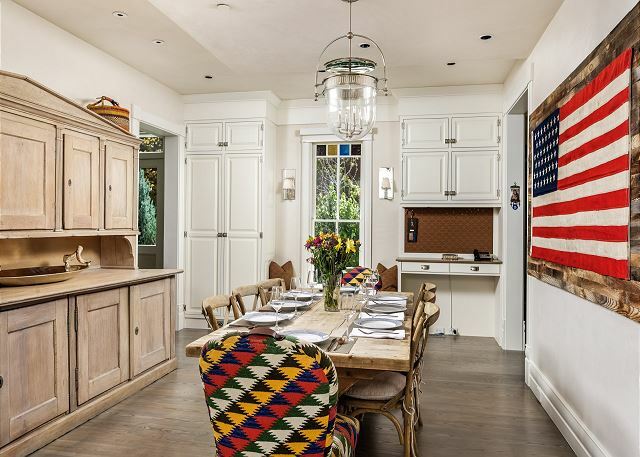 Behind this room is the fully equipped chef’s kitchen featuring a center wet island with bar seating, French Lacanche gas range, German Leibherr refrigerator/freezer, ample counters, farmhouse sink, a modern dining table, window seat and small built-in desk. 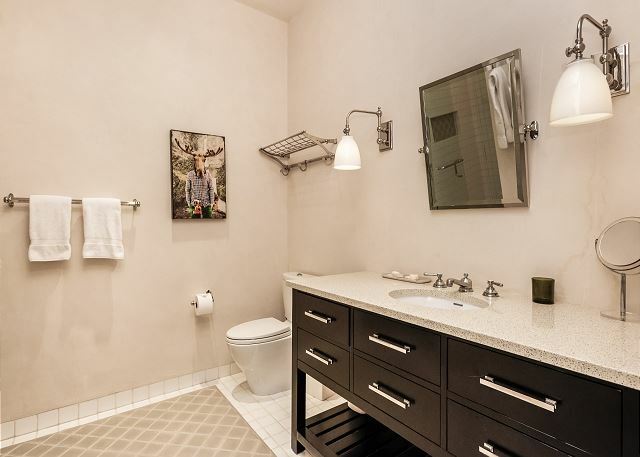 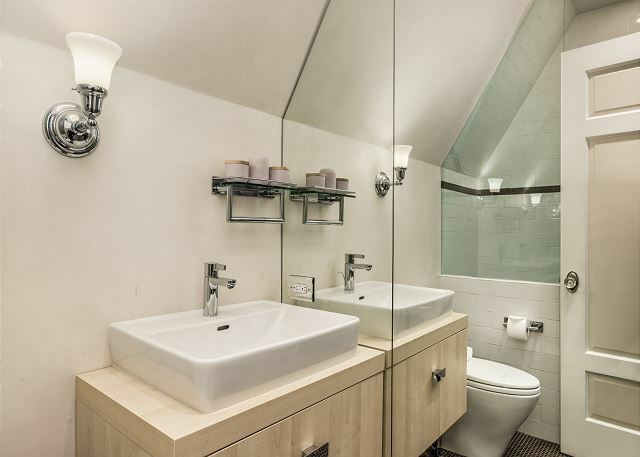 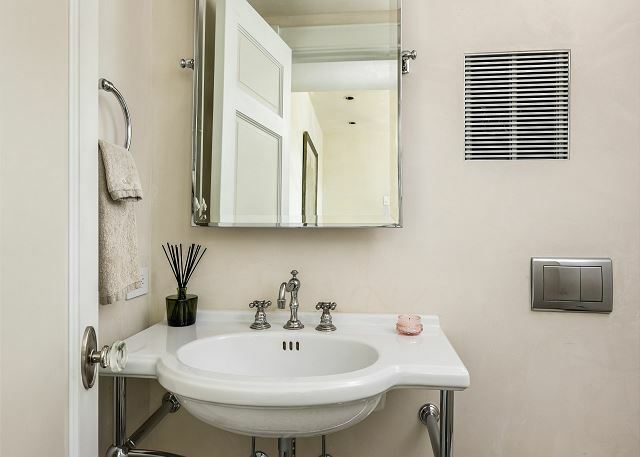 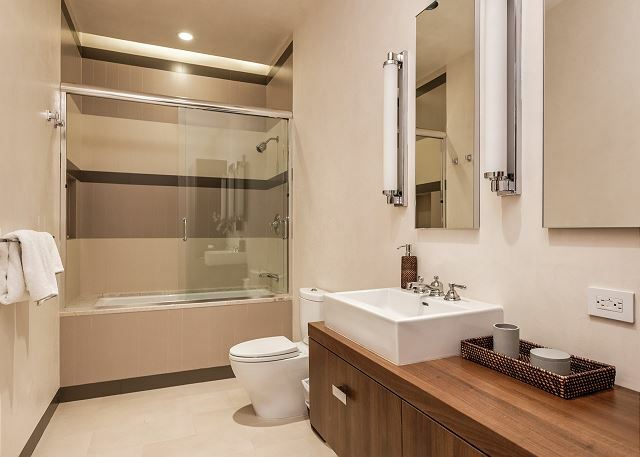 The powder room and garage access is just to the back of the house behind the kitchen and provides access to a private guest bedroom suite above the garage and to the media and rec room on the lower level. 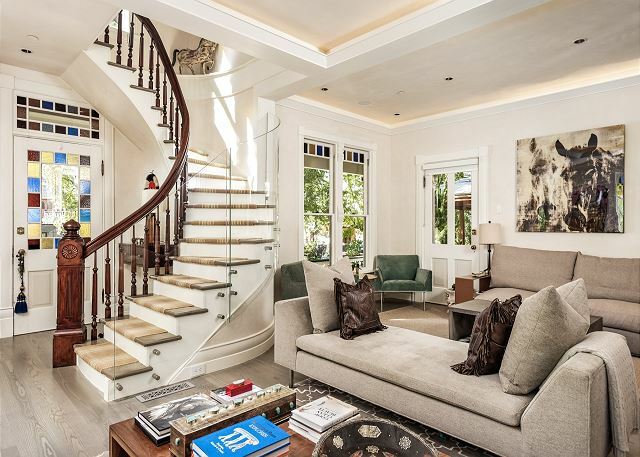 The master suite is located on its own up the spiral stair over the front of the house, with an office and sitting room at the top of the landing. 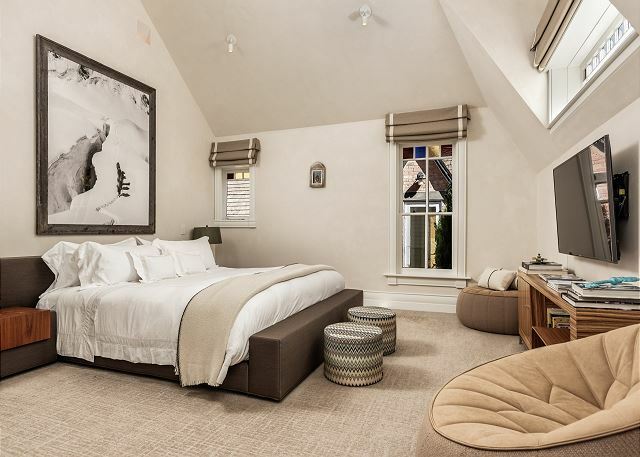 Vaulted ceilings and ample natural light complement this haven for the master’s master. 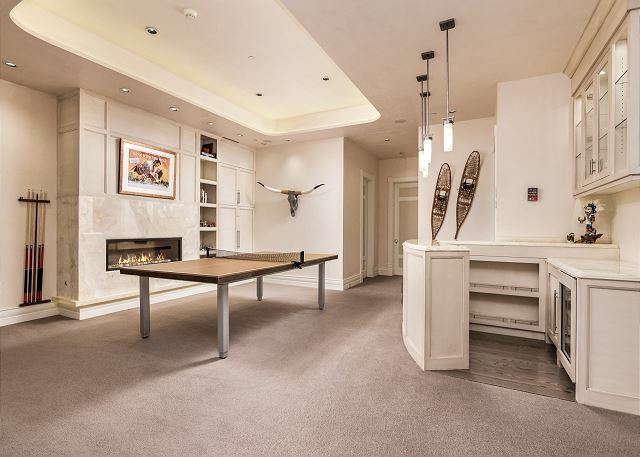 Three additional guest bedrooms are located on the lower level along with the recreation room with Aramith pool table, media area with 75” flat screen television and sectional couch, back-lit stone wet bar with beverage cooler, powder room and laundry room with two washers and two steam dryers. 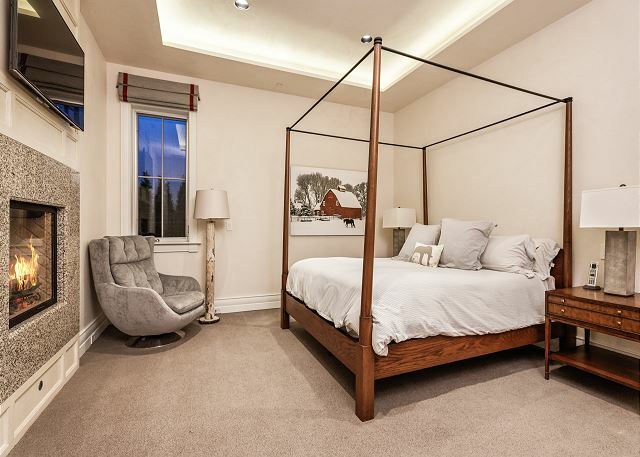 The home features air conditioning on the main and master bedroom levels, radiant heat and heated bathroom floors. 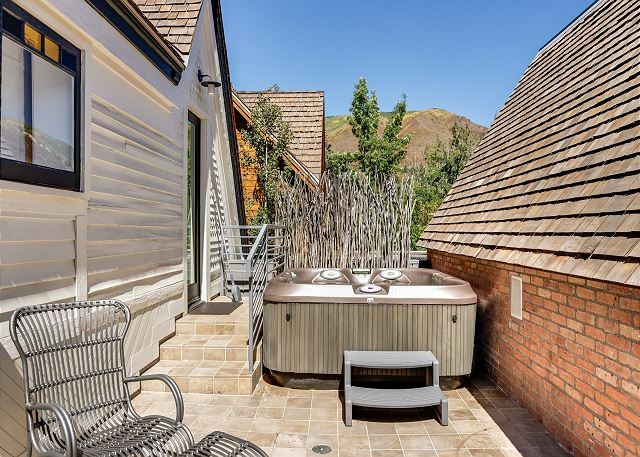 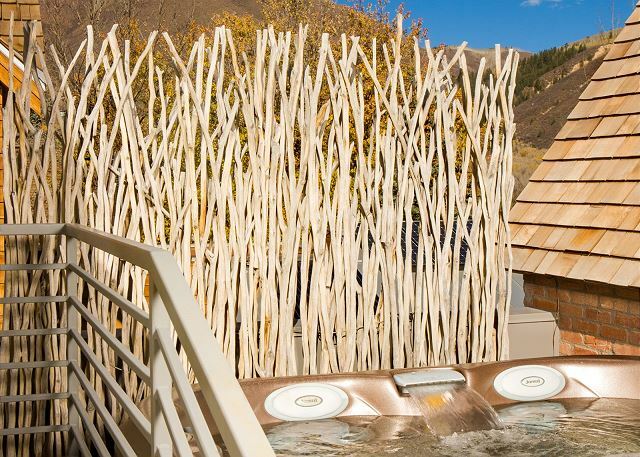 This residence is one-of-a-kind with state-of-the-art systems to pamper you on your next vacation to Aspen. 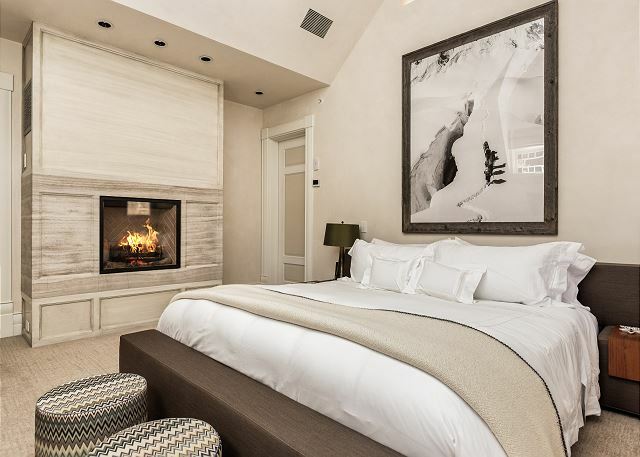 Master Suite: King bed, flat screen television, gas fireplace and vaulted ceiling; entry sitting room/office; en suite bathroom with double vanity, over sized steam shower, whirlpool tub, water closet and terrace access to hot tub; walk-in, custom built closet and dressing room.